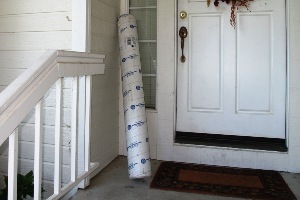 A year ago today, a package arrived on the doorstep, a white cardboard tube about five feet long. This particular package contained six lengths of 16-gauge one-inch square steel tubing. Although we didn't know it at the time, it was the first of many such packages that would arrive on the doorstep over the next several months. Out in the garage, my brand new Millermatic 140 welder sat on its cart, spool of welding wire wrapped in plastic, bottle of C-25 ready to plug in. I'd just gotten the welder a few days before, a totally unexpected birthday present from my generous girlfriend. Almost immediately the welder had me thinking about building a Locost. Again. 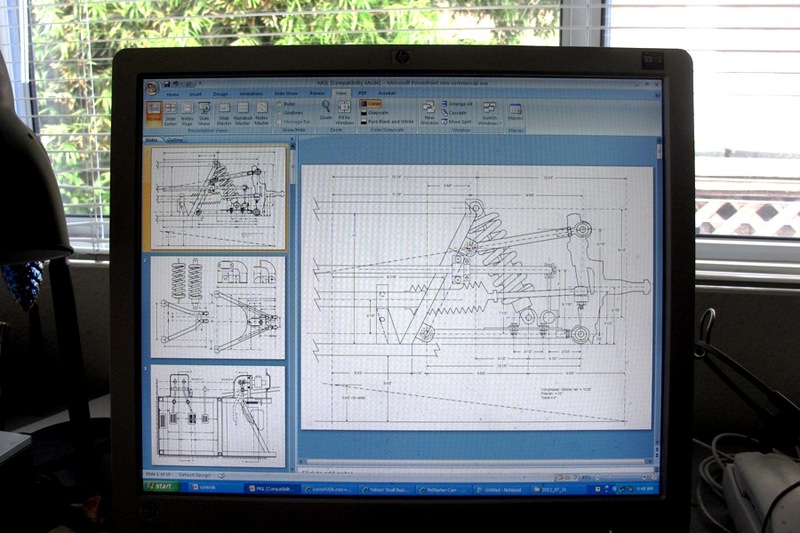 Five years earlier I'd spent hundreds of hours planning and designing a Locost based on an MGB roadster, and even built a full-size wooden mock-up of the frame. I'd done almost nothing about it since. Building an entire car seemed like an overwhelming project. 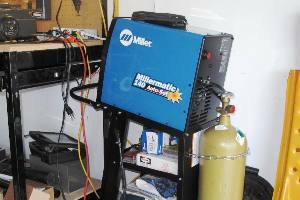 But I had a welder now, which was one major obstacle out of the way. I remember thinking at the time, well, no doubt a whole Locost is unrealistic and probably out of the question, but it can't hurt to cut out a few frame tubes, you know, just in case. They won't take up a lot of room in the garage. I can wrap them in plastic and store them in a cardboard box off in the corner, and if I ever got around to it, I could maybe try welding a few of the tubes together. No big deal. It might be fun. 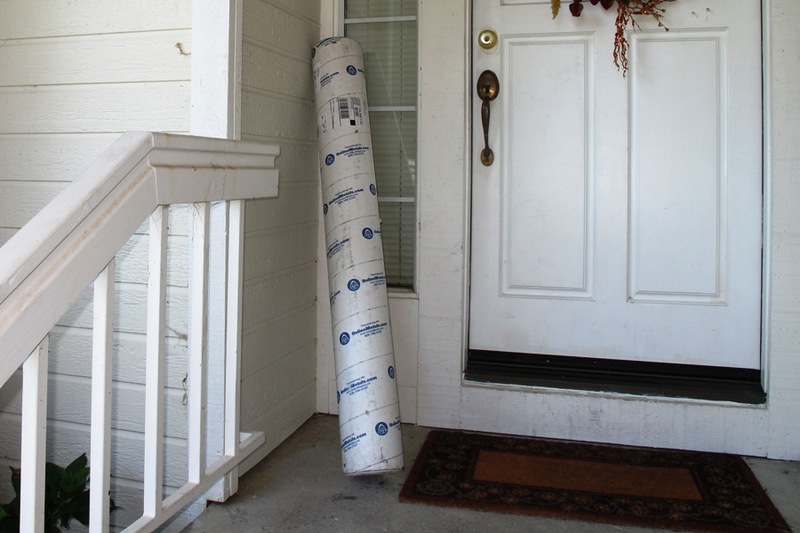 So I ordered half a dozen five-foot lengths of 1" square mild steel tubing from Online Metals in Seattle, Washington, and on Friday, July 29, 2011, the package arrived on the doorstep. Over the next several days I chopped the tubes into the proper lengths for the main frame rails, filed the ends, and neatly wrapped them all in plastic. I marked each tube with its Locost designation, found a long cardboard box, and set them carefully inside. I then looked at the box, realized it could actually hold quite a few more tubes, and ordered some more metal. Over the next month or so I put in a few hours a week on the project, but even after cutting out a few dozen frame tubes and telling everyone who asked and almost everyone who didn't that I was building a Locost, I still didn't feel like I was building a Locost. For one thing, I didn't have a donor. This was going to be a problem if I wanted to do anything more than cut tubes, particularly when it came to making things like the steering rack mount and all the other brackets that would need to be welded onto the frame. So I took the next step and ordered a couple of MGB parts off eBay. Along with the eBay parts, more metal kept arriving, and I kept cutting more tubes and adding them to the box. But then somewhere along the line I got side-tracked. I think it had to do with dragging out my old Locost designs from five years earlier. They were pretty elaborate, and mainly focused on the suspension. 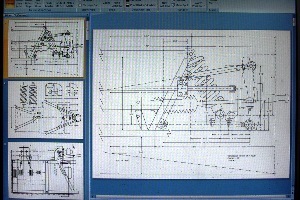 While looking at the drawings, I realized almost immediately I'd made a huge mistake with the front suspension. By using book locations for the pickup brackets, the suspension would have zero caster, which would make the handling pretty unstable. I spent the next few days redesigning the frame and the pickups to provide five degrees of caster, and by the time I was done I really, really wanted to build the front suspension. The frame tubes wrapped in plastic could wait. My next order of metal included round tubing for the A-arms, and a few more pieces for the suspension brackets. Building A-arms took us into the winter months with completely new and different challenges, but somewhere in between making jigs and tapping suspension tubes it finally hit me. We were building a Locost. Now of course we take it for granted that we're building a car from scratch, as if it's something everyone does from time to time. As it turns out, building cars is a great hobby, although it does have its ups and downs. On the plus side, it's cheaper than a lot of hobbies. It's also fun to solve engineering problems, work with your hands, and make something out of nothing. On the not-so-plus side it's kind of messy, and it takes up a lot space. It also has one huge disadvantage over normal hobbies like photography or golf. You're never done. You can finish parts, or assemblies, but it's all small tasks, and the day that they all pay off is way beyond the horizon. You can imagine it, but you can't really see it. So you learn to take satisfaction in the little things. A bracket that's been carefully cut and filed to neatly fit the frame. A classic uphill weld with full penetration and a perfect bead. A linkage that works end-to-end without binding. A cleaned, rebuilt, and repainted brake pedal mount. None of these are useful in and of themselves of course, but they can still give you a sense of accomplishment. Almost like photography or golf. Right now we find ourselves smack dab in the middle of dozens of such small tasks. We're closing in on the halfway mark for the project, so maybe that's appropriate. Day to day progress seems incredibly slight, but if we look back to where we were a month ago, or two months ago, or three months ago, the view is a lot more encouraging. We can't say for sure where we'll be a year from today, but with a little perseverance, a little luck, and continued good health, maybe we'll be posting a log entry about our first drive.